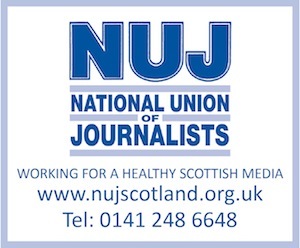 THIS is a rare opportunity to join one of the highest performing PR teams in the Scottish media. You will be coordinating a fast-paced team of former journalists who frequently secure strategic coverage on national TV, radio, newspapers, and social media. A quick internet search will confirm the high volume and rich variety of stories. We seek a can do person with highly developed interpersonal skills and experience on a newspaper or broadcast organisation. You will be co-ordinating the work of seven others including members of our multi-talented web and graphic design teams. The post is providing temporary cover for a senior member of staff seconded to a six-month project. Please visit http://www.churchofscotland.org.uk/about_us/vacancies_and_volunteering for further details of the role including the application form and job description. We seek candidates with an interest in the Church of Scotland in 2015. It is not a requirement to be a member of the Church. Closing date: 12 noon on Thursday 28 May 2015. It is anticipated that interviews will be held on Tuesday 09 June 2015. Please visit www.churchofscotland.org.uk for details of further vacancies that are currently available. The Church of Scotland is a charity registered in Scotland SC011353.